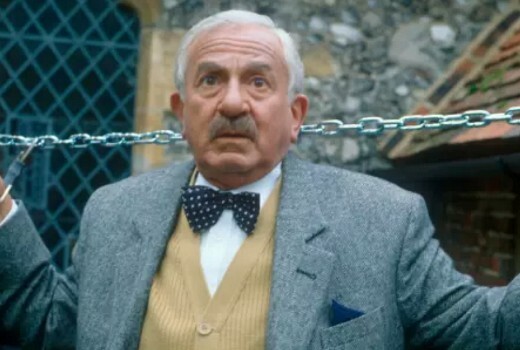 Veteran actor John Bluthal, best known for The Vicar of Dibley & Home Sweet Home, has died aged 89. “We’re sad to announce our wonderful client John Bluthal has passed away. Our thoughts are with his family at this time. John provided us all with years of laughter and entertainment. We will miss John hugely,” his agent Artists Partnership confirmed. Born in Poland he emigrated to Australia at the age of 9 and studied drama at the University of Melbourne. Over 6 decades he worked in the UK, Australia and the US frequently in character and comedic roles on both stage and screen. 1960’s Citizen James, starring Sid James, was his first major credit in multiple roles. In the long-running UK TV series Never Mind the Quality, Feel the Width he played Manny Cohen, a Jewish tailor in business with an Irishman in London. He undertook extensive radio work with Spike Milligan. His lengthy UK credits include ‘Allo ‘Allo!, Hancock, Minder, The Saint, The Avengers, Rumpole of the Bailey, One Foot in the Grave, Benny Hill, The Kenny Everett Television Show, Jonathan Creek, Lovejoy, Bergerac, Inspector Morse, Reilly and Ace of Spies. From 1995 to 2015 on The Vicar of Dibley he played as fastidious minutes-taker Frank Pickle, alongside Dawn French. In Australia his credits included The Mavis Bramston Show, Doctor Down Under, Bluey, Matlock Police, And Here Come Bucknuckle, Blue Heelers, Spirited, and starred as “Enzo Pacelli” in the ABC ’80s Italian-Aussie sitcom Home Sweet Home. His many films included three Carry On films, A Hard Day’s Night, Help!, Casino Royale, Doctor in Trouble, Superman III, The Fifth Element, Labyrinth, Hail Caesar! and two of the Pink Panther films. I remember first seeing him on Spike Milligan’s Q series. One of the greats of character actors-so many, many different roles-RIP, Sir. What a wonderful list of credits. Loved him as Frank in Vicar of Dibley. Sad to hear of his passing. John Bluthal is also fondly remembered as the mafia boss who uttered what was to become one of the most memorable lines in Australian television advertising – “oils ain’t oils” – in the classic series of much loved Castrol Oil TV commercials of three decades ago, alongside the hapless mechanic Sol, played by Max Cullen.